Muria volcano, also spelled Muriah, is located about 400 km above the upper margin of the subducting oceanic plate (Benioff zone) and is near the end of its life, as it has moved away from the most active zone above the subduction. Muria's lavas are righ in potassium, typical for volcanoes in a late stage of their development. 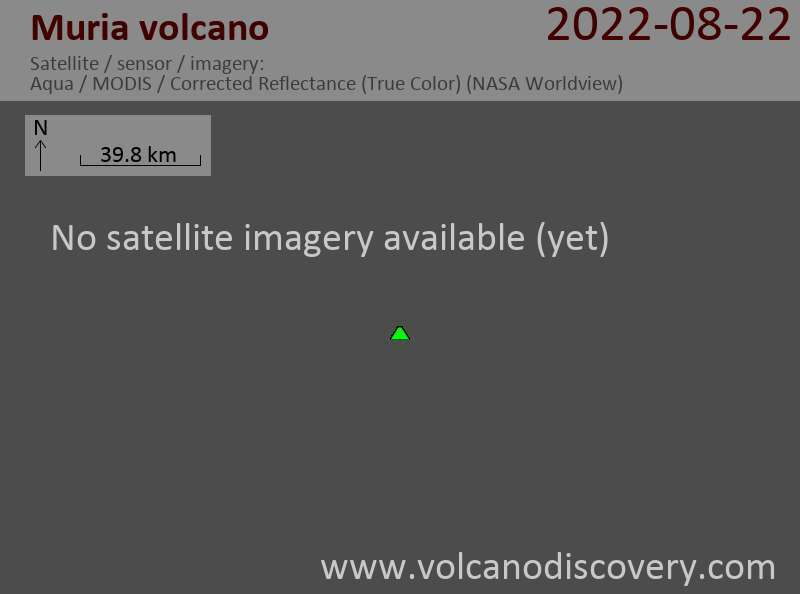 The summit of the volcano has several large N-S-trending craters, some containing lava domes. Numerous flank vents include lava domes, cinder cones, and maars. The most recent eruptive activity at Muria produced three maars on the SE and NE flanks and a lava flow from a SE-flank vent that entered one of the maars. Muria sits aside the older Genuk volcano (elevation 670 m), an old eroded lava dome structure north of Muria. To the SSE, Muria is flanked by Mt. Patiayam (elevation 350 m) at 17 km distance.